Have you checked out LambCam yet? For all animal lovers, we have discovered the ultimate video channel! 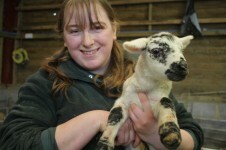 Taking place at Mead Open Farm and for the first time ever in the UK, live lambing is being streamed into your homes. To celebrate the launch, which took place on 10th February, expectant mums and their latest babies will join together for a special photocall at 11 am, shown right here! Using the very latest in video streaming technology, the Lamb Cam will showcase all the live births as they happen at Mead Open Farm. With previous births including Quads and even Quintuplets, it could all get very exciting. In fact, within 9 minutes of going live, there was a live birth – the lamb has been called Webbie! Running 24 hours a day, it will bring Live Lambing direct into animal lovers’ homes! You can check out the live stream by clicking here! 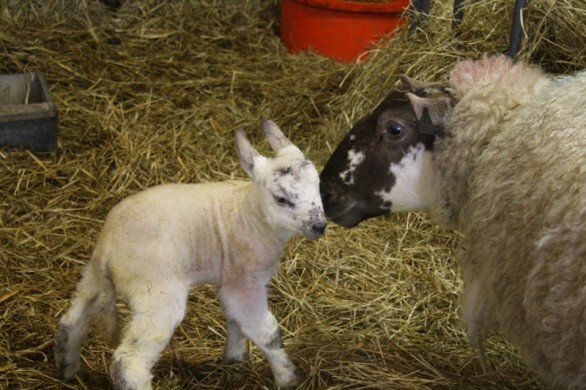 And if you want a chance to see them in person and even get a chance to feed them, click here to find out more about Lambing Season at Mead Open Farm.